Students participate in SAU's STEM Open House! Mrs. Katie Leopard and Mrs. Helbling took a group of 10th, 11th, and 12th grade students to SAU's Science STEM Open House in Magnolia Friday. 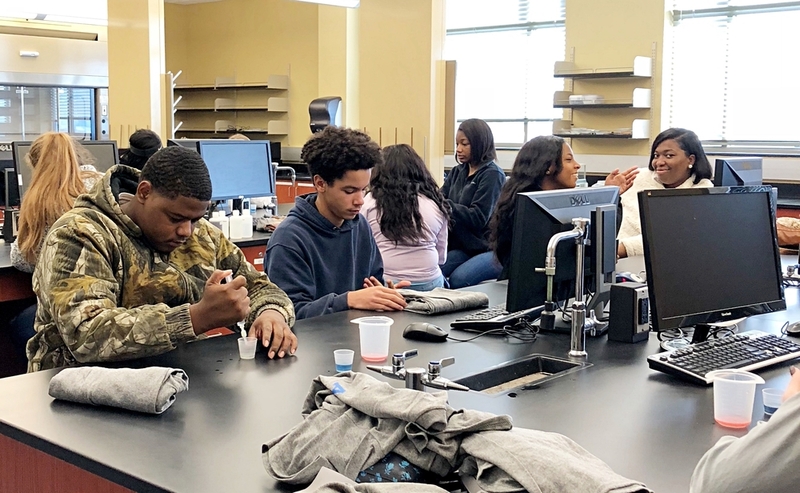 They attended workshops where they completed a Kool Aid Chromatography lab; learned about Robots and watched a NAO Robot dance; and watched physics demonstrations including rocket demonstrations. PHOTOS!